Each configured extension includes a log with entries generated by the extension at runtime. These logs can include errors or other messages returned by the extension's external resource. The messages can be useful in debugging an extension. You can view a log for each deployed extension. 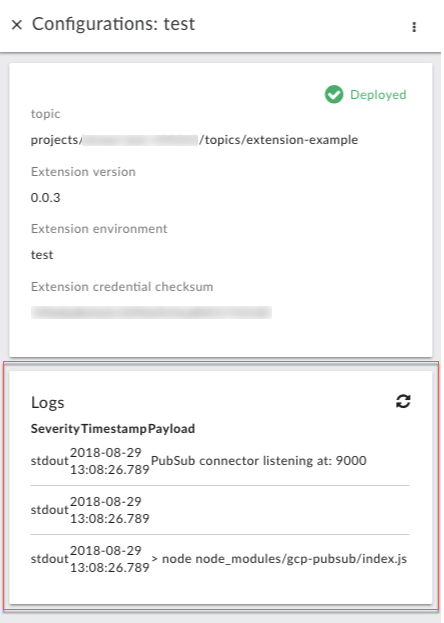 For example, if you've configured an extension for deployment to the prod and test environments, each will have its own log. Note: Extension logs are available to organization administrators only. The Extensions page that appears lists all of the extensions that have been configured from extension packages available on the system. In the Extensions page, locate the configured extension whose log you want to view. You can filter the list by typing the extension's type or part of its name in the box above the list of extensions. Click the row of the extension whose log you want to view. 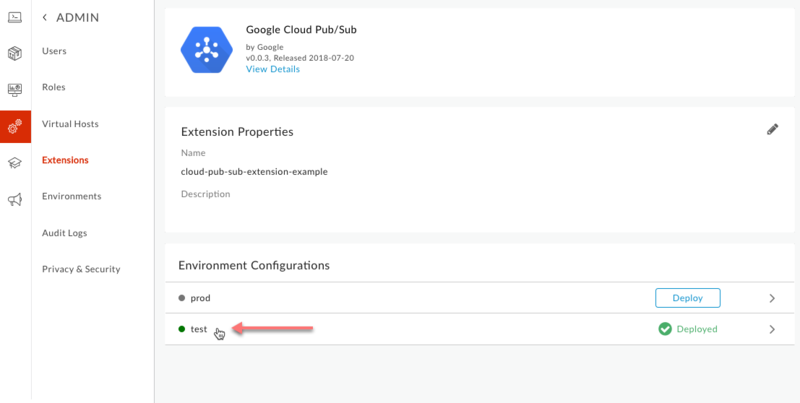 In the extension's page, under Environment Configurations, locate the Apigee environment where the extension is deployed, then click the environment's row. In the Configurations: environment panel, locate the Logs near the bottom of the panel.